Phytolith occluded carbon (PhytOC) is of interest for isotope studies, dating of sediments and the capture and storage of carbon. Many methodologies have been used for the isolation of phytoliths from plant material; however, there are wide disparities in the PhytOC contents when determined by different methodologies. In this study we examine the utility of the two main methods used for quantifying PhytOC. These methods are: (1) a microwave digestion followed by a Walkley-Black digestion, and (2) H2SO4/H2O2. Method (1) produced PhytOC values over 50 times higher than those acquired by method (2). SEM examination indicated that the differences were likely due to shattering of the phytoliths by method (2) allowing consumption by the acid and peroxide of PhytOC . These results indicate that for the samples analysed here: 1] the modified microwave method allowed the total PhytOC to be measured, 2] the H2SO4/H2O2 method allowed the PhytOC within the tightly packed silica matrix to be measured, and 3] the PhytOC retained within the phytolith cavities could possibly be calculated by subtracting 2] from 1]. For the samples analysed here most of the PhytOC resided in the phytolith cavities. This research was funded by an Australian Research Council (ARC), Discovery Grant (DP0773868), the Australian Institute for Nuclear Science and Engineering, and Southern Cross GeoScience at Southern Cross University. 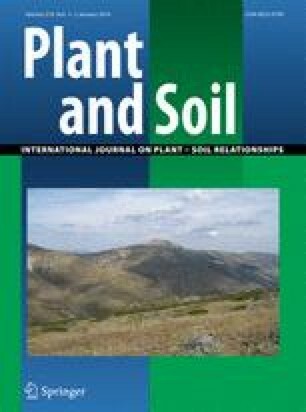 The authors also wish to thank reviewer Martin Hodson for constructive comments and Yash Dang, Bede O’Mara and Dale Kirby of the Department of Primary Industries and Fisheries Queensland and Mr Robert Quirk canefarmer NSW for their assistance in plant collecting and access to field trials they were conducting.